Millions of mobile apps are available on the app store and play store. Of course, it goes without saying that there is a huge competition. 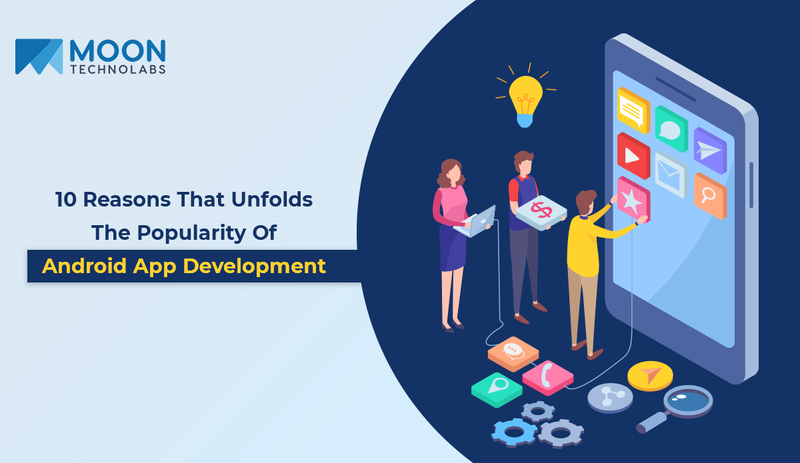 In such a scenario, it becomes very important for mobile app developers to create or build mobile apps that are unique and stand out from the competition. 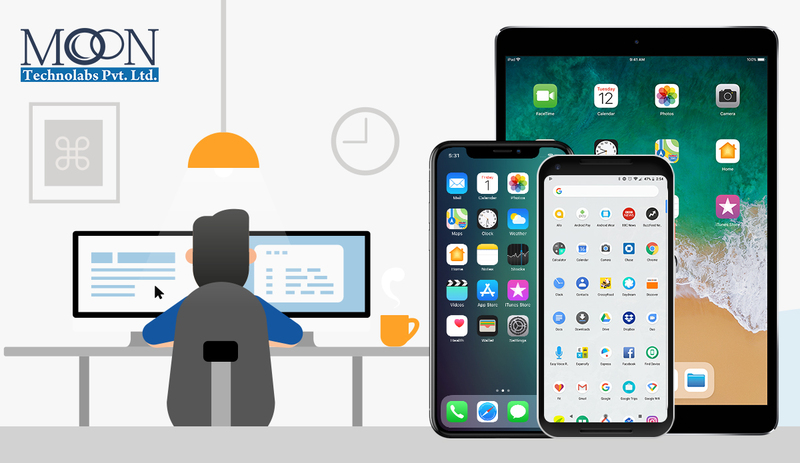 While Android and iOS are majorly dominating the worldwide smartphone OS market, it also utmost necessary to focus on the challenges faced by mobile app developers to make their apps successful. Because of the constant development in the mobile operating system, there are several enhancements and new version launched every year. However, implementation and adoption rate of these new versions remain slow while evaluating its presence in the current market scenario. For e.g, Android 8.0 Oreo has lower market share than Android 7.0 Nougat and so on and so forth. Hence, mobile app developers find it challenging to make their app provide the features with the old as well as new version of the operating system. Since Android is open source, many device manufacturing companies using the Android operating system may differ in supporting certain hardware features. To deliver high-end user experience, mobile app developers need to inculcate many authentications to interlock with hardware features of the devices. Hence, it becomes a challenge for developers to build a mobile app that can leverage the device’s feature. This can be understood from the fingerprint sensor feature which is only supported in certain devices from selected device manufacturing companies. Again, when it comes to the Android operating system, a device manufacturer can customize it according to the specific needs. They can also custom design the user interface because of the absence of the standard user interface for the Android operating system from Google. Differing UIs makes it difficult for developers to build an app that is compatible with every device. As of now, Android mobile app developers are limited to two programming languages i.e, Java and Kotlin. Kotlin, unlike Java, comes with the added advantage of features that can ease Android app development and app code maintenance. However, still, the majority of the current Android app development tools and framework still do not support Kotlin. On the other hand, both the programming languages support Android 8.0 Oreo and Android Studio 3.0, which makes it hard for mobile app developers to pick the right programming language. Security patches released by Google from time to time are not able to address the threats imposed from changes made by hardware manufacturers to stock Android. 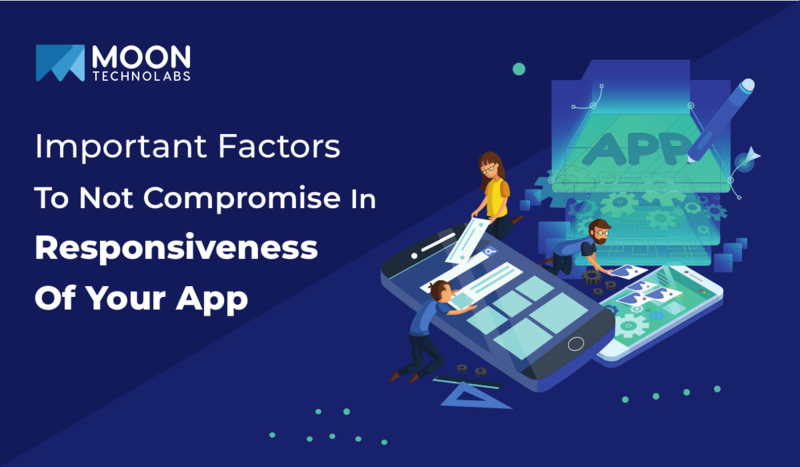 Hence, such security issues go unnoticed which makes it necessary for developers to come up with reliable security features and enhanced encryption mechanisms to shield app and user data. This is also a challenging task for mobile app developers to surpass the ongoing Android security flaws. As there are millions of apps, one can only imagine finding a pool of apps in the same category. For shopping, entertainment, sports, and every other industry sectors, users have a lot of options. This makes it imperative for app developers to build apps and implement ASO (App Store Optimization) strategies so that the app visibility increases resulting in more downloads. Keeping the right app name, unique and attractive icon, high-quality pictures and videos, adding appropriate app description with rich keywords, etc they all play a major role in the app’s visibility and overall success. But, as we have seen that the competition is fierce with too many players in the market and their respective apps in the store, it is hard for mobile app developers to come up with mobile apps that are unique and stand out in the crowd. 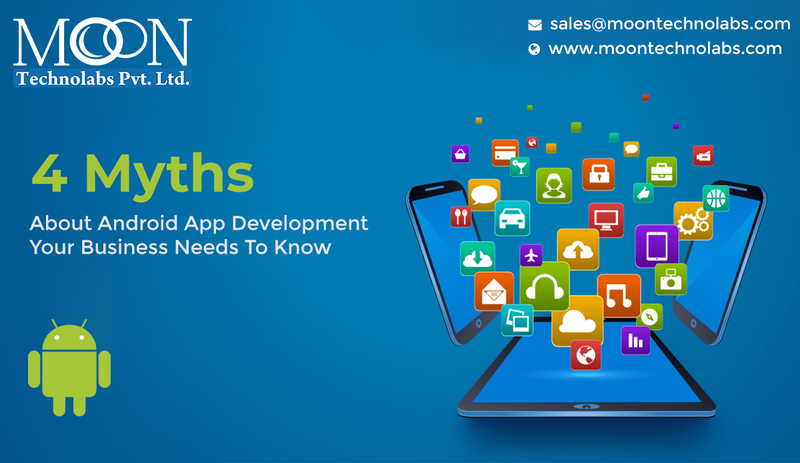 During the mobile app development cycle, the app developer has to address and find solutions to a number of obstacles to make the app successful. 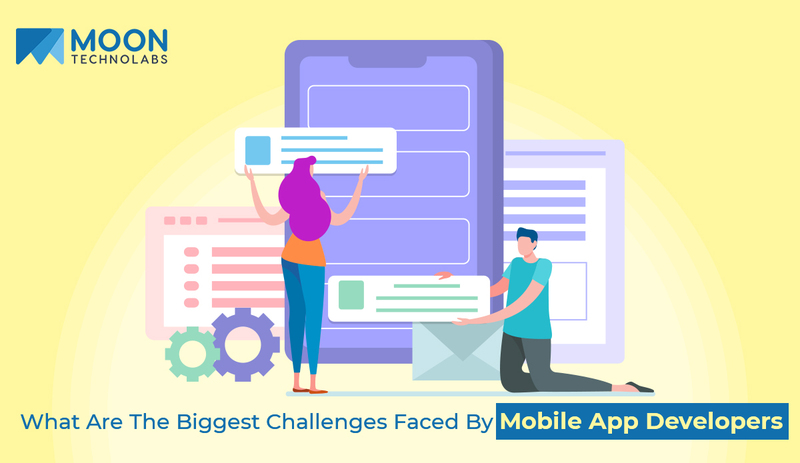 Moreover, each mobile app has its own set of challenges and developers have to implement few custom strategy to identify and overcome those issues in mobile app development. This also always keeps top mobile app development company to look for mobile app developers who have got immense skills and technical knowledge to tackle any issue and build alluring mobile apps. There is a massive competition in the Android App Development and yet many more apps are getting poured into the Play Store. This presents a challenging task to a mobile user of which apps to keep or ignore and delete. As such there are lots of apps available in the same category of similar features and functionalities. If a user won’t feel connected to your app then they wouldn’t take much time to give it a second thought as there are other options available and moreover most of the users are already struggling with the storage space in their device. In such a scenario, you need to make sure that your app is user-friendly and many other things that go along. We have listed a few of the important tips to follow so as to make sure that your Android App is a success. Except for the game apps, all the other apps are either related to performing tasks or informative. Even though if an app has a great user interface and graphics, no one is just going to download it for the sake of it. Until it serves a purpose. Hence, you need the find the reason for the need of your app in the respective segment. It is always helpful to take suggestion in making your Android app better. Moreover, consulting an Android app development company could prove to be beneficial. You can consider discussing primarily on whether your understanding about the need of the app is up to the mark or not and also if you were to fill in the app need gap, will it be downloaded by the smartphone users? Additionally, you can also take opinion in terms of design, features and overall functionality of the app. Even though you think that your app is up to the mark, you should still seek feedback to bring continuous improvements and adding new changes to make your Android app better. You can take keep implementing suggestions to offer a better user experience. This will require you to update your app frequently which is the sign of a successful app. Do not rush this step. As most app developers are in hurry to launch the app to the Play store and avoid paying enough attention to app testing. Make sure that your app goes through the rigorous testing for all its functions, buttons, features & pages. It is better if testers detect the bugs rather than your users before you launch the app. The design of your app should be simple for users to navigate throughout the app. You need to make sure that your app is intuitive so that users don’t use much of the help button. You can also create shortcuts for the favorite or frequently used functions. Try to limit the typing as it is harder to do in a mobile device. You can also use the location functionality to initiate certain decisions such as the product displayed in local currency based on the user’s location. No one likes to spend much time on a slow app. The ideal respond time for any app should be around 10 to 15 seconds. Size matters and in this case, the smaller the better. Smartphone users are already facing the crunch of storage space in their devices with already too many other important apps. 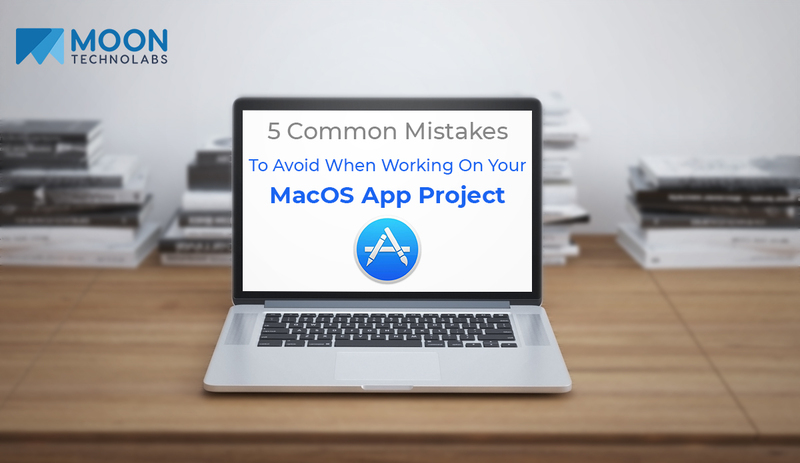 Hence, it is advisable to keep the application size moderate so that it does not fall into the bunch of other unwanted apps which are always on the edge of getting deleted by a user. The above-mentioned steps and tips will help you to develop and market your Android app. You need to ensure to inculcate each and every tip to make your android app successful. 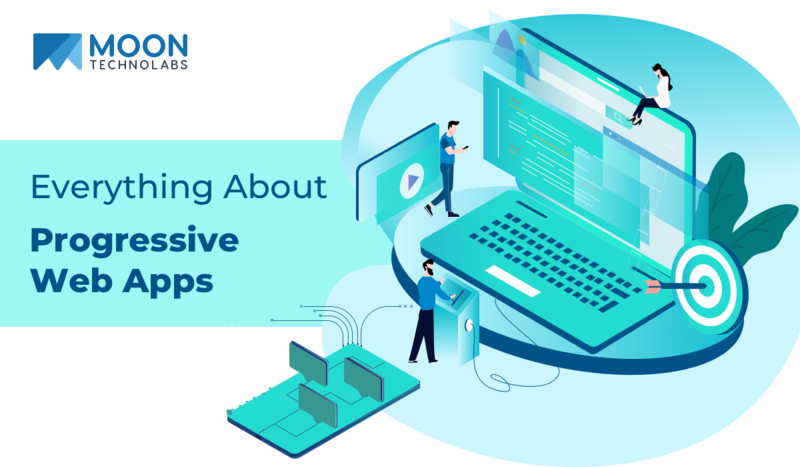 Smart technology is booming and everyone who is venturing into mobile app development with their respective domain of product and/or service needs to take care of certain things at first. 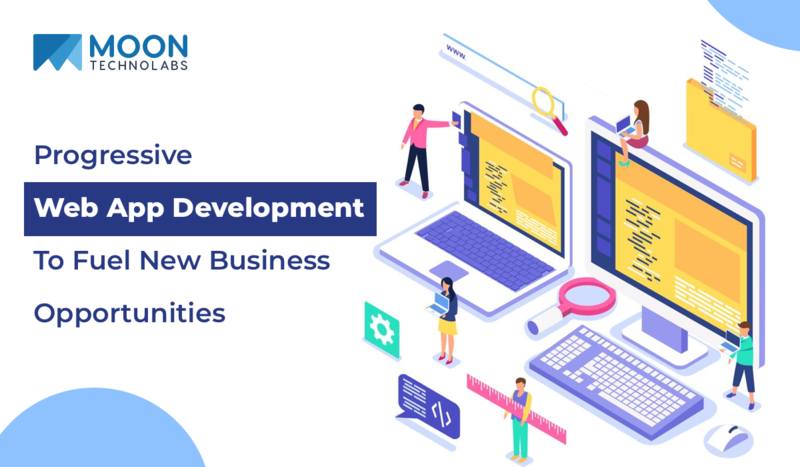 However, it becomes utmost important for anyone to primarily decide upon the platform for the mobile app development for his industry-specific needs. There are various operating systems which are the powering backbones of smartphones today. Mobile app development companies have to decide on whether they wish to go on just one or wants to develop the app on multiple platforms. Of course, they can choose the latter option if it falls under the company’s affordability range. Android is ‘Open Source’ i,e. Easily available & accessible as it is free, paves the way for any phone manufacturer like Samsung, HTC, etc to use it in their phones. Hence, Android has captured a major share of the mobile industry having crossed over iOS, Blackberry and Windows put together. One statistical data suggested that around 80% smartphone devices manufactured around the globe runs on Android. 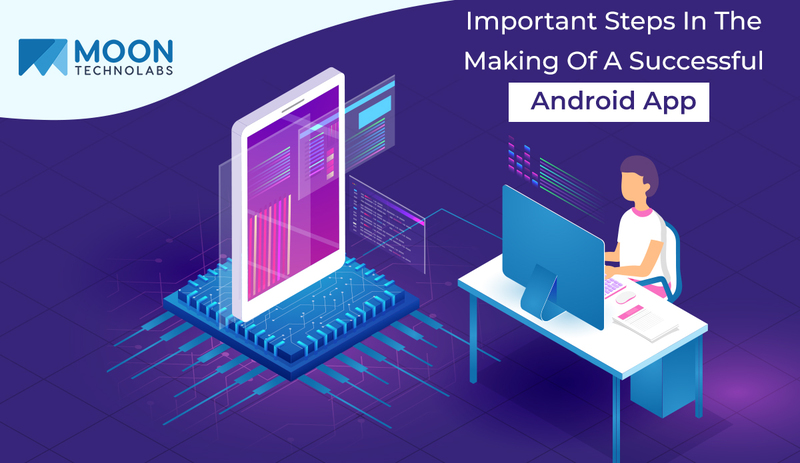 This is one of the important reasons that there has been a potential rise in the mobile app development industry for Android App developers. Android app development is majorly done in Java Programming Language and that makes it easy for Native Android apps to be ported to other mobile operating systems such as Ubuntu, Symbian, Blackberry. While Windows has said that they’ll come up with an easy system so that the Android apps can be ported to Windows 10 devices, Chrome OS already started accepting porting of Android apps. Any Android developer works on the knowledge of Java and the Android SDK tool, which is free and quite easily be accessed. This tool has the potential to make the most innovative and amazing mobile apps. Therefore, being easily accessible is one of the reasons in contributing to the popularity of the Android Operating System. Google Play Store is already flooded with millions of mobile applications and everyday new apps keep getting added. Because of this, there is a massive marketplace for Android app development than any other platforms. Mobile applications get ready to market for launch on the Play Store. Android app development presents the facility of being able to install from any other source as well apart from the marketplace, i.e play store. With the help of Android SDK tool, it is possible to test apps and use it on multiple devices. The app can also be installed directly on the device via the command line. Only registered Android app developers can submit to the play store. Once they register and their APK is prepared they can submit the app. The registration cost is just a one-time $25 unlike their closest competition, i.e, iOS wherein, an iOS app developer has to pay a yearly subscription fee of $99. Android development can be done on any operating system such as Linux, Mac or Windows. 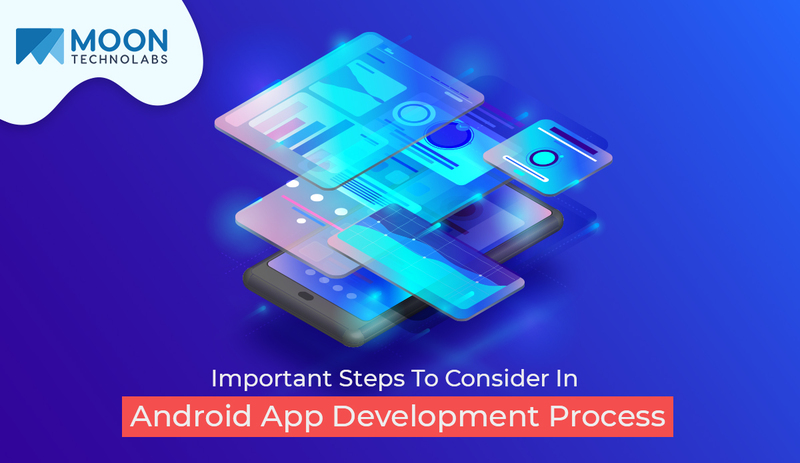 Because the app submission rules are easy and moderate, there is a good amount of turnout of apps and moreover, the approval process is also much simpler. Android app development is a boon for Indian Android app developers as it showers lots of jobs opportunities. One of the reason is Java, as the app developer can also explore in the fields of programming, web design, data analyst or a system admin in any of the app development companies. Additionally, you can also partake in any projects as a freelancer or as a part of an App Development Company. The tables have turned, even Android apps are now as profitable as much as their counterpart, i.e, iPhone apps. They might not be churning as much profit as an iOS app but surely the Android app developers are happy with the way things are right now. Moreover, with the ads model, developers continue to get paid as long as the ads are shown. The advertising cost is also lower on Android, which adds on to the reason for choosing Android App development over other platforms. As we all are experiencing in our daily lives which is not only revolving around smartphone and mobiles but also surrounded with other devices such as SmartTV, Tablets, Smart Wearables, Music & Entertaining System, Cameras, Video game players, etc. This shows that there is a wide and varied implication on different industry segments, all of them are presenting opportunities to Android app developers. These device users are especially looking for different experience as they have different expectations as compared from smartphone users. 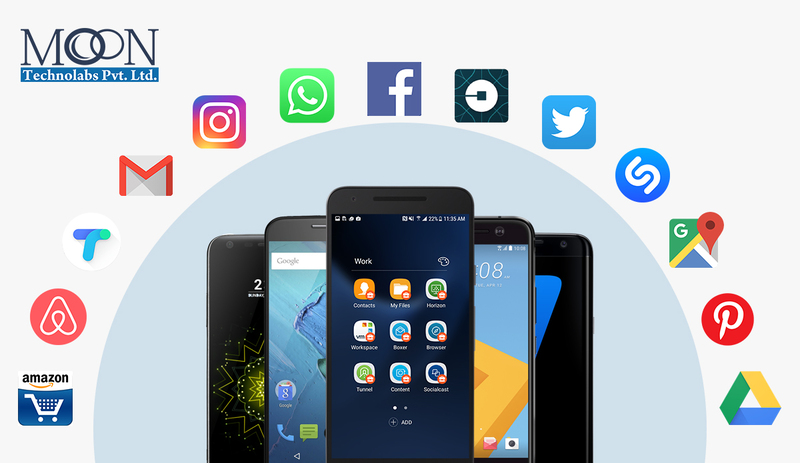 There is a huge potential for social networking apps as this particular segment is constantly growing in the mobile app industry. App developers can actually increase their profits and revenue by several folds. Due to easy & simple integration, Android app development remains as the preferred choice of mobile app developers. Mobile application developers play an important role in the development of apps in education and institutions. Most of the credit goes to app developers for the rapid development of educational mobile apps as they not only provide the instant access to the information but also support a wide access to the range of materials on the go. One may miss the class due to some reason but can’t excuse from having to access the lecture or study information from the comfort of their home. Educational mobile apps can reach a wider audience and act as lecture centers or classrooms, hence a round of applause for the app developers. Mobile technology is not only captivating but also addictive. It paves the way for app developers to build some exciting educational concepts via the medium of mobile gaming apps. The more simplistic and user-friendly approach is the number of engagements in the app. Educational gaming apps are usually designed to test a subject’s ability to comprehend the level of reasoning, logic, aptitude, etc to know their grasp or hold of the subject or topic. It is also not quite easy to develop such gaming apps for educational purpose as it requires expertise and experience, hence it is advisable to opt for best mobile app development having a niche in developing such apps. These apps allow one to find study material and information notes in their subject matter. You can just look for the e-book on your android phone by downloading and installing the e-book app. There many sections & industry that one can browse through such as self-help books, textbooks, reference guides, library notes & engineering, medical, travel guides, personality development, etc respectively. 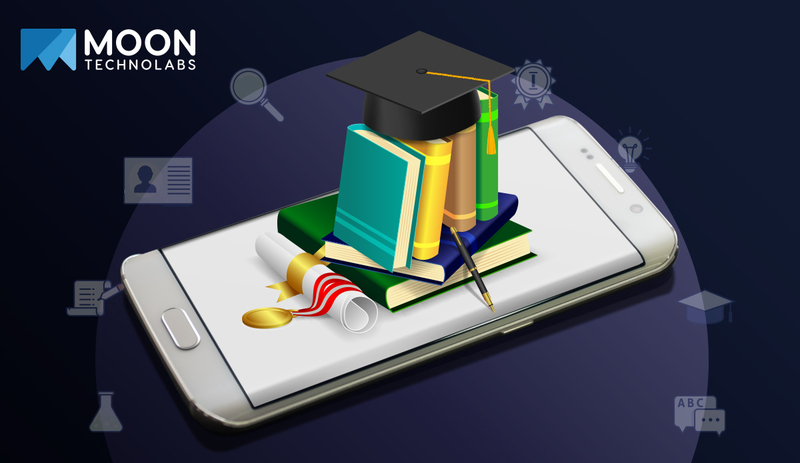 These types of educational apps are hard to ignore as students have different learning speed and hence, such subject specific mobile apps help them to gain a stronghold over the subjects they find it difficult. Furthermore, these apps have simplified the topics and concepts in an easy learning format and numerous subjects have been classified into topic wise categories to attend well to the students need for understanding and to aid knowledge of the subjects. Mobile app developers from around the globe are interested in language learning apps especially Indian mobile app developers. The language learning mobile apps are on a rise in India as not only travelers whose number is growing day by day but also because of an influx of international students as a part of their either core studies or exchange programs. These apps are loaded with hundreds of languages and with newer versions of the app more and more languages are introduced. Such apps are also quite helpful to people who migrate to foreign countries for work to reduce the language barrier. One can gradually move from beginner’s level to advance as they may seem fit over the grasp of the language. Every language has its own specific grammar rules to be followed to read, write and speak it in a correct fashion. English has become a global language and many people do make common mistakes. To avoid such errors in doing so, mobile app developers have build apps that can help anyone on how to form a correct sentence or construct a statement as per their need. Mobile apps that are aiding legal professionals and law students via thousand of cases, studies and reports have proved to be a boon for the law industry. Mobile app developers have also built other apps related to law profession which have been said to support and guide students further in the studies of law. It is quite clear from the above views that Android mobile app developers play a huge role in the development of educational apps. These apps are useful when you have an android phone and one can contact mobile app developers to support your work or project that involves developing such educational apps. There are mobile app development companies that can help you develop all kinds of mobile apps not in the education sector but also in different sectors. What can you expect? You can expect to get more. Get more of the Artificial Intelligence for your phone. Get more power-packed performance. Get more smartness in-built. Get more efficiency. Get more adaptability. Yes, Android 9 Pie does this all. It’s a feature-rich update with design elements enhanced to ease navigation. 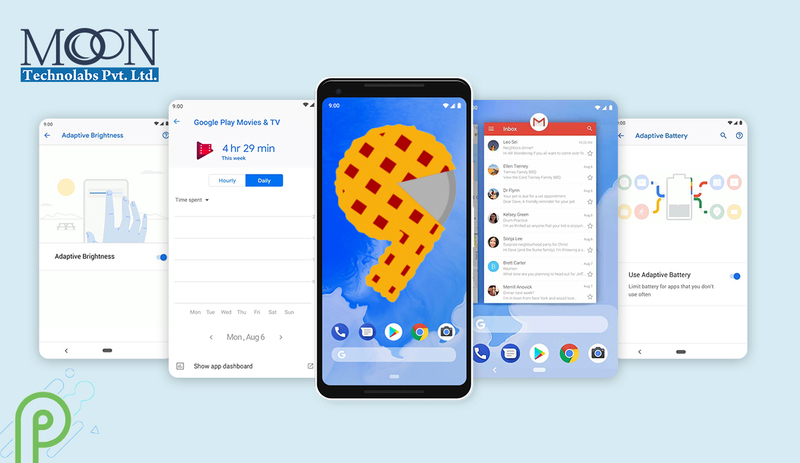 “Great technology should help, not distract”, very well said, understood and implemented through Android 9 Pie. A smart move to learn the particulars of user’s routine, style and pattern and smartly accommodating to those better and better over time. Digital wellbeing feature is all about the user. With all new ‘App Dashboard’, now you can keep track of the total time spent on mobile, specifically on apps and how many notifications you received in a day. ‘Do Not Disturb’ feature has been top-up to silence not just notifications but also the visual interruptions. ‘Wind Down’ & ‘App Timers’ will follow a fixed bed-time schedule for your phone & set daily time limits for your apps respectively. Android 9 Pie is adaptive in battery and brightness. Using machine learning, it unravels app’s functioning to predict your immediate usage of apps in the next few hours and adjust battery power accordingly. In similar fashion, with adaptive brightness, your phone screen learns to adjust brightness according to the surrounding lighting environments and aids to as a battery saver. In addition, via settings options, you’ll get to see recommendations to restrict certain apps which use more power to operate. ‘App Slices’ brings you the information right there in the search result from best of your favourite apps onto the screen. For e.g, when you search for a restaurant, you can see distance, prices based on food preference, closed or open, etc. App slices operate by creating interactive snippets of your favourite app and bringing them to the surface in different places, like Google Search. ‘App Actions’ are actually forward thinking. This AI-integrated feature is a step ahead after your action so as to predictively allow you to quickly finish the task. This feature can adapt to your morning commute, work schedule, when you use headphone or in the gym. Android 9 with only a single button will allow a user to switch between apps with swipes and gestures for navigation. This proportionately increases the length of the display and supports a higher aspect ratio as well. Android backups are encrypted with a client-side secret such as device PIN, Pattern or Password as an extra layer of security. Android 9 Pie also introduced a standardized biometric authentication prompt from time to time to maintain a regular authentication experience across Android Ecosystem. Also, StrongBox, though available on only compatible hardware, apps will be more efficient in protecting the keys & credentials because of robust hardware. Moreover, Android 9 comes with loaded privacy enhancements. With Pie, Android will restrict access to phone’s microphone, camera or other sensors when an app is idle or running in the background. Android 9 brings many more important and necessary enhancements that protect not only all web communications but also offers private web surfing. The annual Google I/O conference is one of the most awaited ones, for the new tech surprises and announcements it heralds. This year too was no different, with Google announcing its first-class support for Kotlin as a key language for Android App Development. Kotlin is basically a statically typed programming language that runs on Java Virtual Machine, like Java. Named after an island near St. Petersburgh, Russia, Kotlin has been developed by JetBrains, the same company that has developed tools like IntelliJ. Java, along with C++ had so far been Google’s principle language for developing Android Apps. But, maybe not anymore, as here come Kotlin that is completely interoperable with Java. Starting with Android Studio 3.0, Kotlin will come included, so additional setup or installation will not be required for the Android developers. As a language, Kotlin is a lot similar to Java, like being statically typed and object-oriented. Being a new language, Kotlin comes loaded with lots of new features, cleaner syntax and more such enhancements which are not present in Java. On the other hand, Java is a very old language, more prone to errors, run time exceptions and is verbose. Speed and Performance – A Kotlin application with its support for an inline function, and similar bytecode structure, runs faster than the same code developed in Java. Compatibility – Kotlin is entirely compatible with JDK 6, which makes it run even on older Android devices without any issues. Interoperability – Kotlin is completely and seamlessly interoperable with Java, which means developers can use all the existing Android libraries in a Kotlin application. This interoperable feature is one of the major enticing factors for Android App Developers. More efficient – Kotlin takes 20% fewer lines of code than Java, which means fewer bugs, faster to develop and compile, and therefore lower costs. The best part is, there are no Null Pointer Extensions, which means no crashes. Moreover, Kotlin being Open Source means it is entirely free to use and develop. Easier to learn and adopt – For developers who are already familiar with Java, taking to Kotlin is easier, as the syntax is lean, intuitive, simple, and similar. The Java to Kotlin converter plugin is of great help when you get started. There are no two thoughts that Java is the Dad here. Java has been around for a very long time, as compared to Kotlin. While Java being extensively used my millions of developers till date, it is safe to assume that Java is here to stay for some more time. It may be a smart idea to combine and use Kotlin along with Java in the applications. Google has also clarified that Kotlin will only be an additional programming language, and is not a replacement for either Java or C++. Google is tying up with JetBrains to create a nonprofit foundation to foster the Kotlin language. Kotlin is expected to run natively on other platforms like iOS and MacOS and compile on JS for web development. With a strong support and backing from the IT giant Google and commitment from JetBrains, Kotlin seems to have started with a firm footing and even may rule in the next few years.